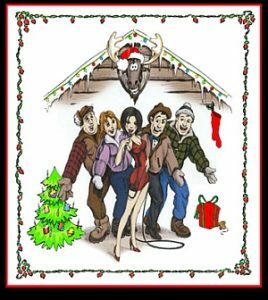 This spoof of Charles Dicken’s a Christmas Carol takes place on Christmas Eve in Bunyan Bay Minnesota, where cantankerous bar owner Gunner Johnson gets into an argument with his wife Clara, tells her he’s skipping Christmas and storms out. Featuring 17 original songs that will make you laugh like no other Christmas songs you’ve heard before. Admission: $15 for all seats (There will be a $1 fee per online ticket purchase).